Is God literally or metaphorically Father? Not only did the preference for de-gendered language for God contribute to leading the sisters away from praying the official prayer of the Church, the Divine Office, but many actually wanted to change most everything to remove male language, including their Constitutions and their vow formula. Dears, Thanks to [Dominican Praise translation committee member] Mary Margaret [Pazdan] for her carefully presented paper on “alternative language” which prompted a wonderfully lively discussion at our supper table on The Trinity. We suggest that others might like to do the same. Also, do read the amazingly clear and beautifully written chapter on the Trinity in Elizabeth Johnson’s book She Who Is. We agree with Mary Margaret that we want the language about Trinity to be metaphorical; however, we want to move beyond Father, Son, and Holy Spirit. A few days later, one good and true soul spoke up for the Church’s point of view: Sister Francis Assisi Loughery. For those pursuing the Naming God discussion, there is a beautiful section on the Blessed Trinity in the Catechism of the Catholic Church that you will find helpful: Chapter One, I Believe in God the Father, p. 54, #l9 and ff. ; also p. 66 on The Holy Trinity in the Teaching of the Faith. While you have this text in your hand, you might like to turn to p. 224 for the affirmation of the Church on “Outside the Church There Is No Salvation.” The Church still teaches this truth. The Trinitarian names, Father, Son, and Holy Spirit, are not metaphors. (See St. Thomas Aquinas, Summa Theologiae, I, q. 33, art. 2, ad 3: “In human nature the word is not a subsistence, and hence is not properly called begotten or son. But the divine Word is something subsistent in the divine nature; and hence He is properly and not metaphorically called Son, and His principle is called Father.” See also ibid., q. 33, a. 2; q. 13, art.. 3: “Whether Any Name Can Be Applied to God in Its Literal Sense?”) Et passim. The vow formula: to the honor of Father, Son, and Holy Spirit… or not? It was several years later that the most astonishing discussion occurred. The Vow Formula as it appears in the 1889 Constitutions, substantially similar to the form in which it was given to the sisters by Father Mazzuchelli, their founder. “Congregation of the Most Holy Rosary” is the formal name of the Dominican Sisters of Sinsinawa. If inclusion of alternative texts for the vow formula and Scriptural references in the Constitution requires approval from the Congregation for Institutes of Consecrated Life and Societies of Apostolic Life, is the real reason for eliminating these texts the pragmatic one of avoiding problems with CICLSAL, rather than a theological one? If the alternative wording of the vow formula were something like “To the honor of our Triune God and…,” wouldn’t that maintain the Trinitarian theology? Would printing the alternative texts in italics and submitting their inclusion to the vote of the General Chapter eliminate the need to get CICLSAL’s approval? There are, it is admitted, occasional dispensations needed, which should be granted with a degree of prudence, as not to permit them to continue when their causes are removed. In general, it will be better to dispense seldom or never, or, as the Rule says, “only for a legitimate and reasonable cause.” Superiors will weigh very well the import of these words before the least dispensation is granted, lest, after many illegitimate and unreasonable dispensations, nearly every vestige of regularity should disappear. * Describe your present experience of God and/or how you first began to experience God and where that led you in your journey. * How does your religious tradition [i.e., Roman Catholic, Buddhist, Jewish, Christian] affect your experience of God? Gender? Ministry? Age? * One final word or idea before we close? To the honor of God, and of the Blessed Virgin Mary, and of Blessed Dominic, I, Sister _______, make my profession and promise obedience to God, to you, Sister _______, prioress of the Sinsinawa Dominican Congregation of the Most Holy Rosary of the Order of Preachers, and to your successors, according to the Rule of St.Augustine and the Constitution of the Sinsinawa Dominican Congregation of the Most Holy Rosary, even unto death. The 40 minute DVD in question, On the Mystery of God, was meant to be a discussion-starter for local Sinsinawa Dominican groups; it showed Sisters Theresa Byrne and Maggie Hopkins, and former Sinsinawa Dominican and Edgewood College philosophy professor Paula Hirschboeck, who had been lay-ordained a Zen Buddhist priest in 2000 (and has more recently been ordained a Soto Zen priest), in conversation apparently regarding “images of God” and how God is spoken of, and the conversants’ experience of God. Buddhism is a non-theistic belief system. Hirschboeck seems to have continued to be involved with the community, its spirituality outreach initiatives, and other congregation activity long after leaving religious life in 1989, and even after her 2000 Buddhist “ordination,” for instance participating in 2001 on a congregation membership study committee commissioned by the General Council “to explore the meaning of member and its implications for present and emerging forms of relationship, and to communicate the results of this process to our next provincial chapters.” The DVD presentation, filmed in 2008, received praise on SinsinOP, including from Kaye Ashe, and a local “circle” of Sinsinawa Dominicans which said “We found the DVD to be a welcome catalyst to our own sharing about our God experiences and our response to vow formulas.” After another group viewing, a sister said “The content of their input and their delivery is certainly deserving of an academy award.” It was eventually viewed by “most people” within the congregation. Other works by Elizabeth Johnson were often cited also. 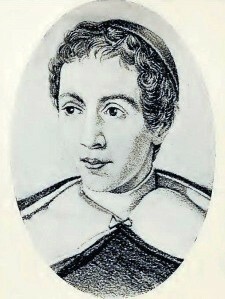 The works of feminist theologian Catherine Mowry LaCugna were cited by about half a dozen sisters. One added, “For me this work is also connected to the reassessment of Natural Law by people like Sally McFague as well as other disciplines.” McFague is a protestant ecofeminist and author of a book titled Metaphorical Theology. When a sister mentioned the bestselling novel The Shack, which she admits “is not a theological treatise,” others jumped in to say that had been on their minds too. “I’ve read it three times and circulated it to many folks, and have been making connections with our discussion of the Trinity,” said one. In The Shack, God the Father and God the Holy Spirit are represented by female characters. I feel that the SinsinOP mailing list discussion which this congregation-wide study and reflection spawned at the beginning of 2009 certainly vindicates the USCCB’s concern over Quest For the Living God. As you will see, the conversation gives an eye-opening look at the beliefs behind some sisters’ continual chafing against basic Christian language of Father, Son, and Holy Spirit. The basic tenet of our Christian faith is the Trinity. We call ourselves Christian because Jesus Christ is the second person of the Trinity. All major religions believe in God. Only Christians believe in the Trinity. The entire New Testament is based on the Trinity. We were baptized in the name of the Trinity and our vows are a further carrying out of our baptismal promises in our Dominican vocation. 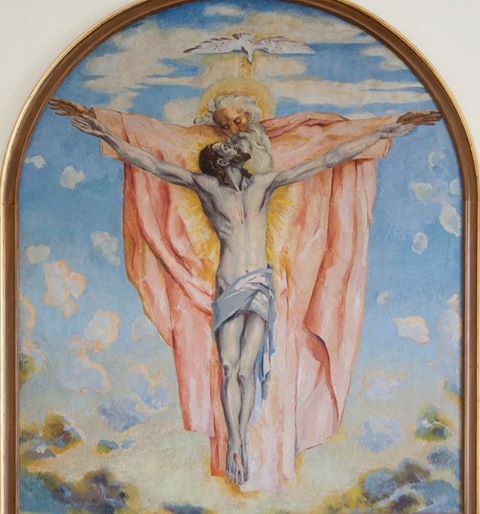 How many times in our lives have we blessed ourselves with the sign of the cross, “In the name of the Father….” And prayed as Jesus taught us “Our Father, who are in heaven, hallowed be your name…”? Our Sinsinawa Constitution begins with the words: The life of the Trinity is the source of mission. The vow formula given to us by Father Samuel Mazzuchelli contained the traditional Trinitarian wording. Therefore, my request is that we not change our present vow formula but rather think and study so as to understand more deeply the importance of the Trinitarian inclusion and distinguish between a literal meaning approach, leading to the patriarchal perspective and theological meaning approach, leading to a relational perspective. In the first week of January, the radical feminist sisters spoke up. Sister Donna Quinn, who was one of those who was persuaded that (for instance because of reservation of priestly ordination to men alone) the Church believes women are “not in the image of God” as much as men, wrote that “This topic is very difficult for me to write about because it feels like it invades the very heart and soul of our Sisters who pray to God from the depths of their being.” She wanted “words [that] would embrace all of creation” and proposed that the vow formula should begin “In the Image of God I ( fill in your name )…”. Another sister was in agreement with Patty and Donna, and pointed to a feminist re-interpretation of Jesus’ word “Abba” (“Daddy”). I am thinking that to “force” someone to “vow”, “promise” or “proclaim” something she does not believe really invalidates the promise, or vow. Vows, I believe, are to be freely chosen and when one is forced to vow something that isn’t true for them…well, yes, I believe the freedom to choose to vow is somehow taken away and, like I said, invalidates in some way, the promise. Does that for me then mean that I feel that my vow is invalidated? No, because 30 years ago, our thinking about God was different; mine was different and continues to evolve. Would I now, with the evolution in my thoughts/beliefs on God, vow using that same language- no, I would not. The metaphor of Father, Son, and Spirit indicates intimacy and connects us in friendship to the Great Mystery , to one another and to all of creation. Perhaps we could use the metaphors of father and mother, but that creates Christological concerns even as it expresses sublime love. I, personally, thought at the time that this was ingenious: saying simply “God” (as has been done, evidently, in the Dominican tradition for centuries) leaves room for multiple ways of imaging the profound mystery of vitality, love, creativity, truth, mercy, fecundity, and beauty that God represents and that refuses to be captured in any single image. [W]e all seemed to agree that while we have reverence for tradition, we felt that the formula having been handed down from Father Samuel and written in our Constitution as well, did not preclude our examining new language (consonant with the theology of the Trinity) to reflect the “sitz en laben,” the situation in which we presently live. One person made the observation that Father Samuel, himself, would probably understand the need to re-evaluate the wording, given the movement toward inclusivity of women within our Church. [… One sister stated] that she would not like to think of young women entering in the future who would look at the present wording and think that we were not attuned to the need for inclusive language on behalf of women. How to write constitutions acceptable both to Sinsinawa and to Rome? 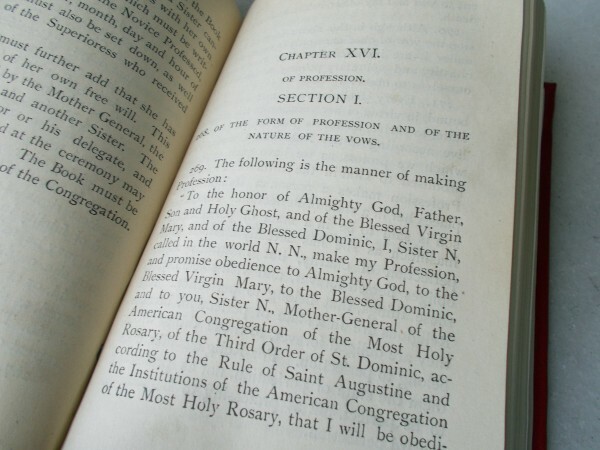 At the April, 2011 General chapter, “The 32 edits suggested by the constitution committee were approved as well as the substantial changes in the text regarding General Chapter, Congregation Treasurer, Collaborative Relationships and Local Community.” The language for the vow formula was almost certainly not changed. This was submitted to Rome. In December of 2011, the congregation “received a response from Rome (The Congregation for Institutes of Consecrated Life and Societies of Apostolic Life) regarding our constitution and they made three minor adjustments. We had some questions regarding one of their suggestions and are in the process of consulting a canon lawyer. ” The following February, “Mary Ellen has been in contact with Canon Lawyer Dan Ward, for some guidance in wording on some changes suggested by CICLSAL, the Office in Rome that gives final approval for our Constitution. These are changes in preferred wording, rather than substance, and changes that Council can make. We hope that these final details will bring us an approval soon!” To date, the new constitutions do not seem to have been approved yet.